We thoroughly enjoyed working with Just Kitchens. They take pride in the work that they do; they are precise and thorough. They kept to the schedule we agreed on – 6 days to completely renovate our kitchen, powder room and laundry! They were always on time, worked hard and were a pleasure to have in our home. 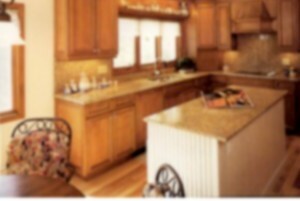 Just Kitchens make it very clear that they are not satisfied until the client is. We love our new kitchen, powder room and laundry room! Just Kitchens helped us to create exactly what we wanted. 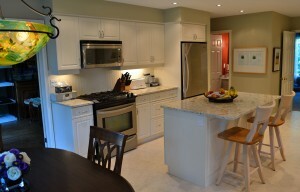 This is the second renovation we have had done by Just Kitchens, we would not hesitate to recommend them.